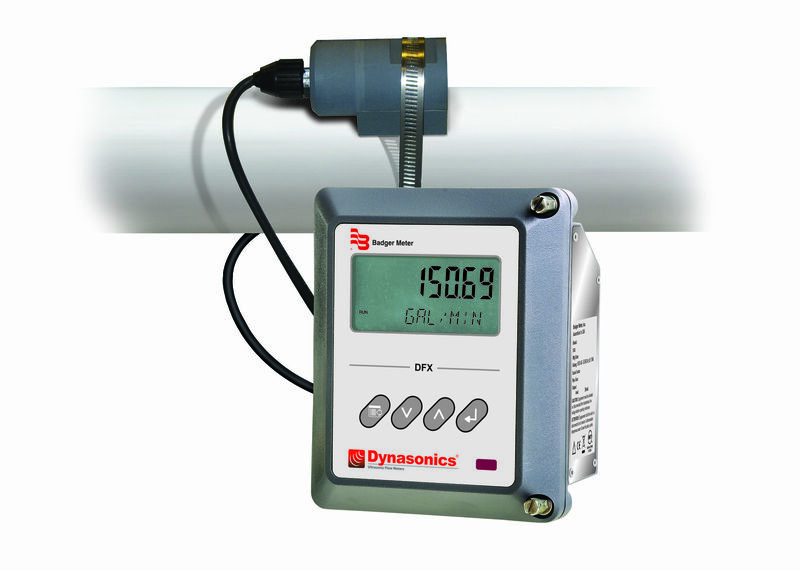 The UFX hand-held ultrasonic Doppler flow meter is a cost-effective flow measurement device for closed-pipe liquid systems containing suspended particles or gas bubbles. 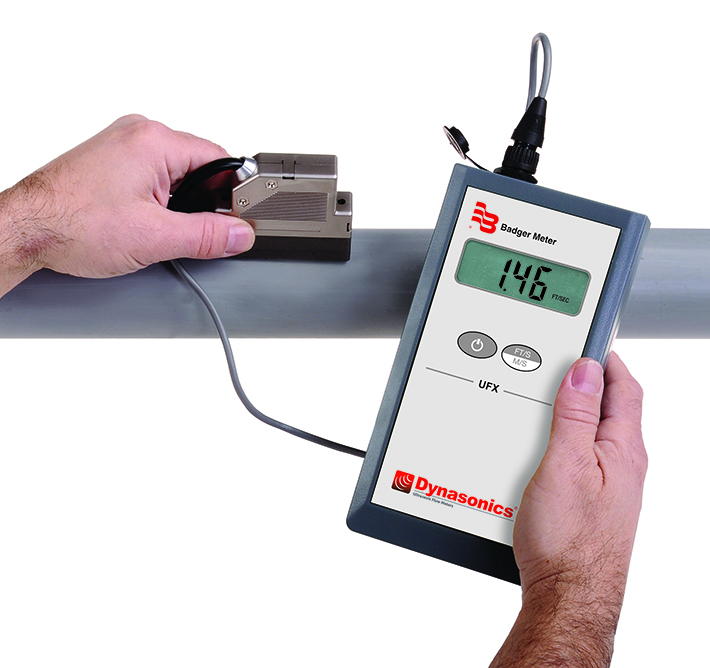 A non-invasive, hand-held transducer is placed on the outside of metal or plastic pipes and ultrasonic waves are transmitted into the flow stream. 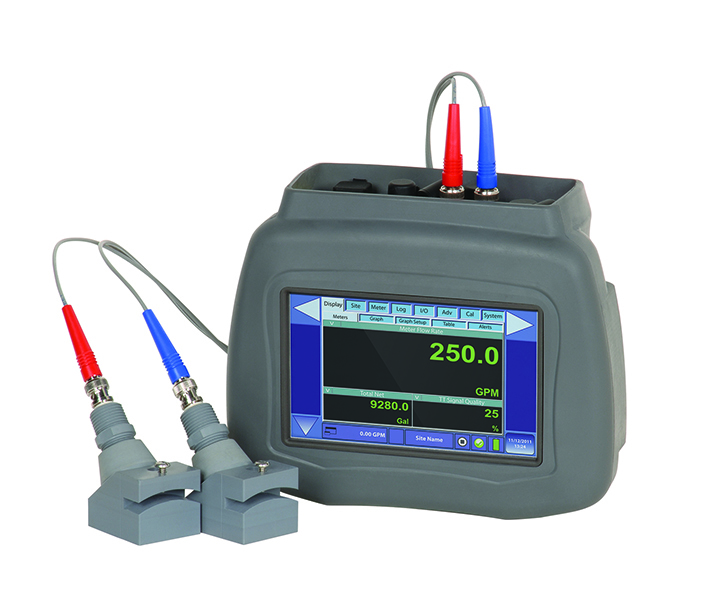 The velocity of the particles or gas bubbles is determined by measuring the frequency shift of the reflected waves.